Preaching is something I have been doing since I was sixteen years old. After forty-four years I’m still studying the art and science of this sacred craft. I hope to be inspired so as to inspire. I continually strive to shake off the crushing weight of criticism that serves no purpose but to vent the resistant spirit of those unable to look beyond my style and hear from the Lord. Yet I press on, week after week, because the challenge and responsibility also brings the reward, the contentment that doing what I am called and gifted to do is of the highest kind of satisfaction. The best preachers make you strive for Christ – likeness and value the great things that God is doing in His church. The great preachers connect hearers with God, inspiring, encouraging and motivating them to authentic Christian living, and enabling them to live with a sense that through the preaching they have indeed met with the living Lord. Excellent preaching must be Biblical, Christ-centred and Gospel in content. I depend on the Holy Spirit to guide people into truth, to convict and to inspire through the preaching. My responsibility is to be studious, faithful, careful, confident and creative. 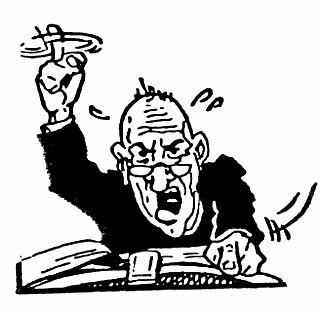 I read in the New Testament that excellent preaching will stir some to reject and some to embrace, some to run to Christ and some to run away. It is anything but ordinary work – never boring. And I have so much more to learn!